As soon as April hits we all know what that means! No, not the frustrating feeling of the everchanging weather – is it going to rain…is it going to shine? Should I pack my sunglasses or umbrella? We were thinking more about the festival season – enjoying the music that makes you sing and dance along, live sets and cooling beer, country walks and sprawling fields! If you’re in need of updating some of those springtime staples – we have the perfect collaboration for you! 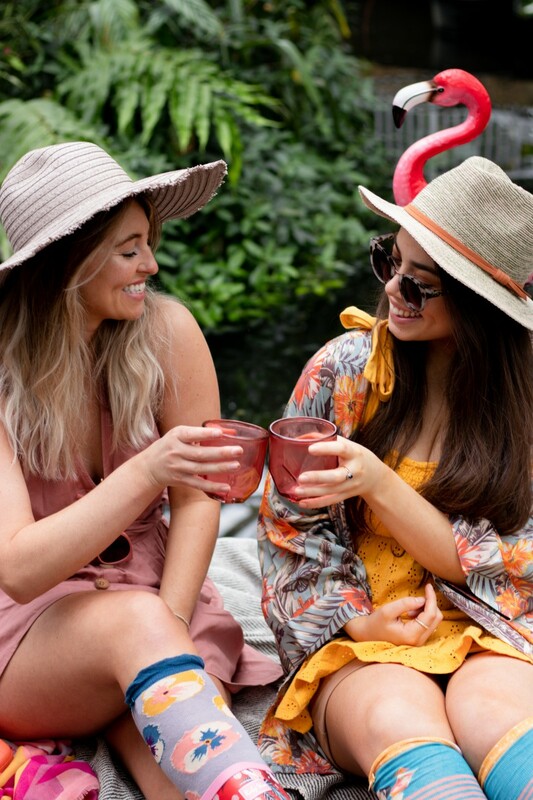 We’ve teamed up with the wonderfully unique Ruby Shoo this April to offer you and a friend the chance to win a £50 voucher each to use online at both Ruby Shoo and Powder! With a passion for creating contemporary, quirky, fun, unique shoes and accessories with a hint of vintage, Samantha Lines, the talented designer at Ruby Shoo, is able to introduce both archive and modern fabrics into every collection. Ranging from occasion wear to everyday designs – often adding gorgeous embellishments and accessories to each collection – it’s almost impossible not to ask the question: “Where did you get your shoes?”! 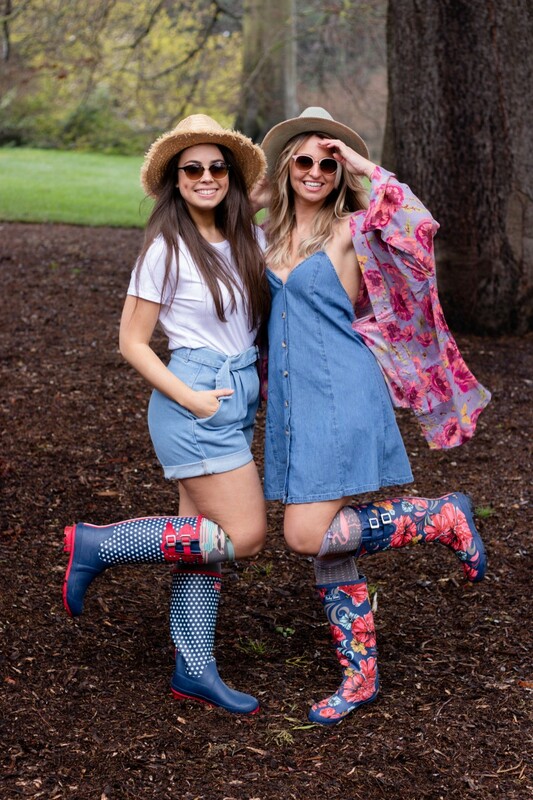 It was the launch of the Ruby Shoo Wellington Boots in 2018 that got us inspired to create six different looks to help you get ready for the festival season this April! 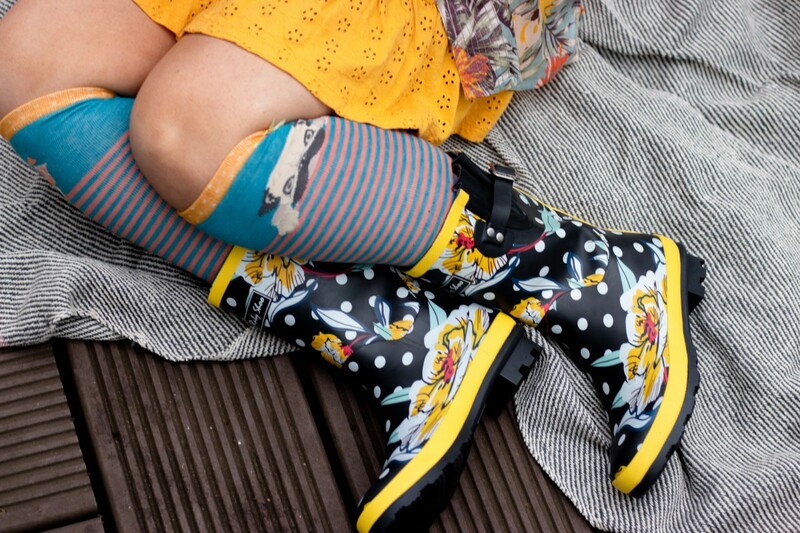 Matching our own Powder accessories with their full Wellington Boot Range! Which pair will you pick? When we decided to shoot, we knew just who to ask – our two Brand Ambassadors, Raechel McGinn and Annabelle Brodie! 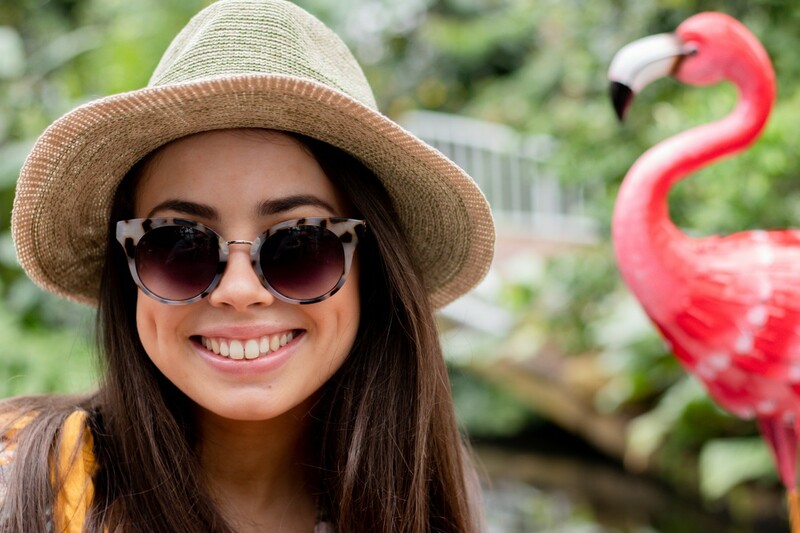 While not shot at an actual festival, we did have fun munching on strawberries, drinking elderflower wine and making friends with a couple of flamingos! Each set of looks has been inspired by a specific festival; ranging from Glastonbury, Coachella, and Wilderness, giving you some indie, bohemian and springtime inspiration! 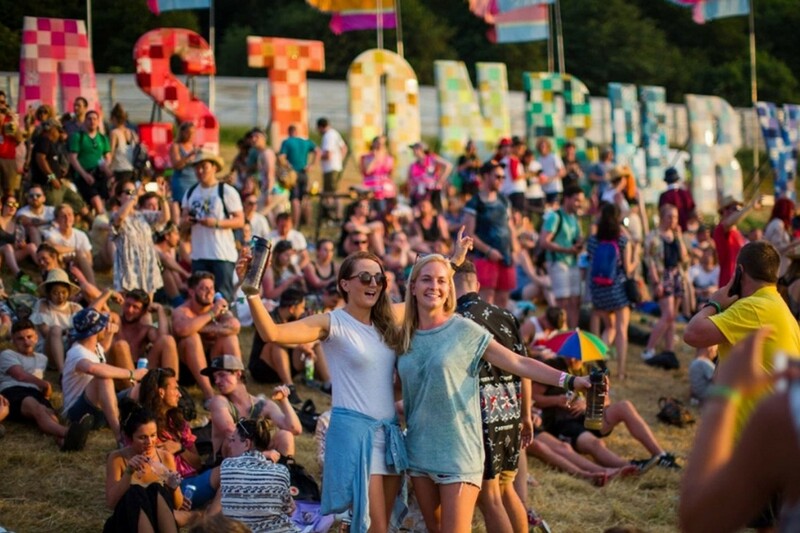 Glastonbury Festival is one of the world's most famous music and performing arts festivals. Embracing each and every genre across the spectrum, from rock and pop, to minimal house, techno and full-throttle drum 'n' bass, music-lovers flock to its spiritual fields down in Somerset to get a taste of the action. 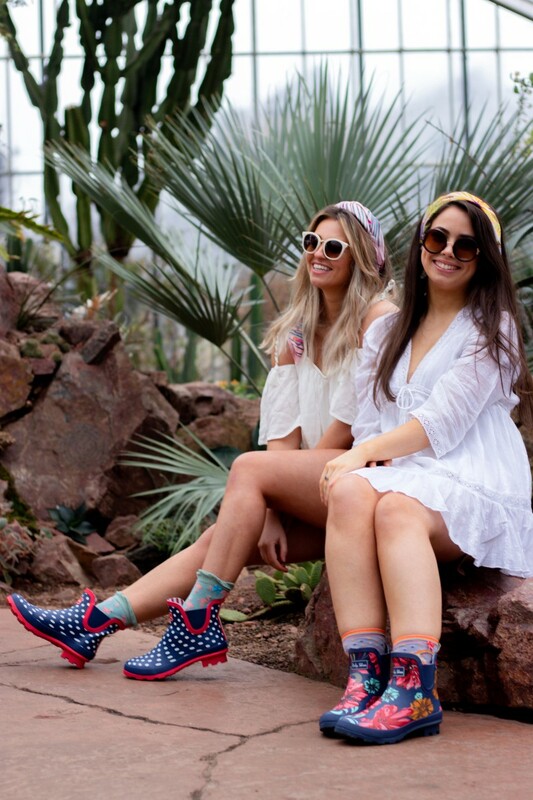 It’s the ultimate festival for wearing wellies, the girls encapsulating the festival spirit with a fun, carefree and idiosyncratic style! Taking inspiration from Alexa Chung to Adwoa Aboah and all the fashionable faces in between; denim dressed, straw hats, clubmasters, printed t-shirts and floral prints are a must! 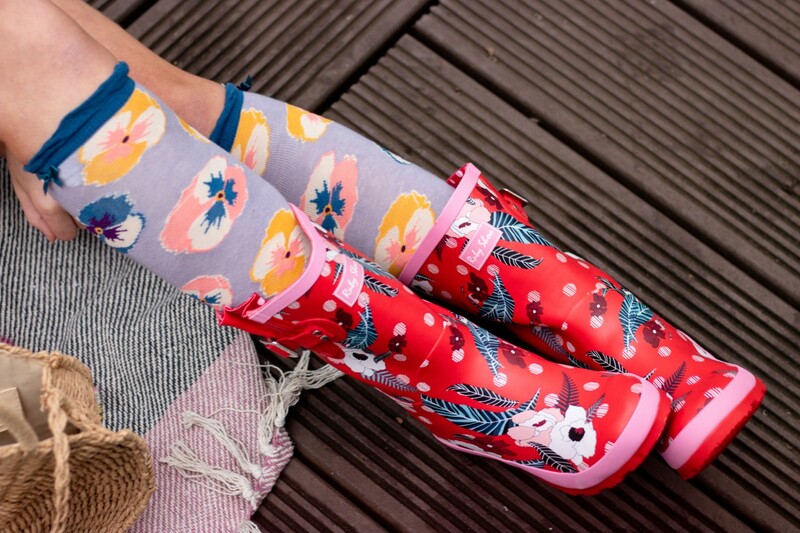 We loved the cheerful floral print with cheeky polka dot lining on the Esme Wellingtons in Coral, wanting to make sure that we were able to enhance the print with how we styled it. We thought that the best way to do this was to create an outfit with a blue base and a floral overlay; this versatile denim halter neck dress provides the perfect blank canvas to add our Poppy Print Jacket, throwing in our Natalie Hat with a pair of Margot Sunglasses for that proper Glastonbury feel! 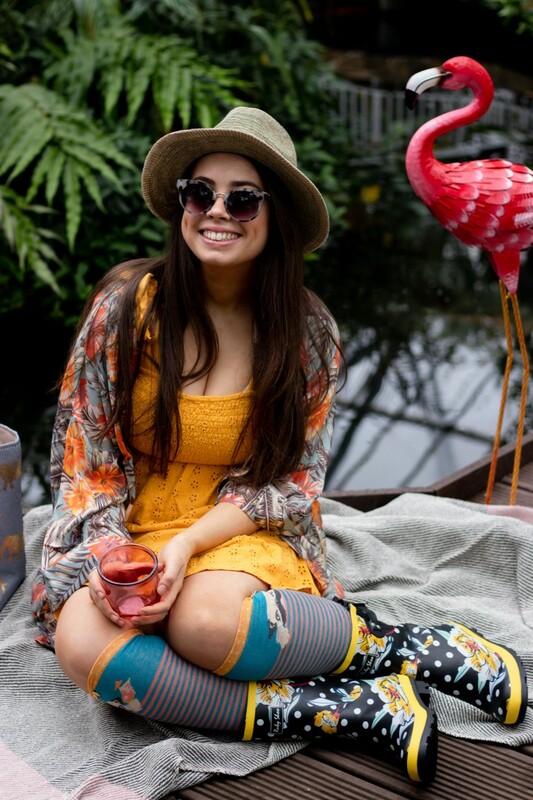 As a fun extra, we additionally paired the wellies with our Flamingo Knee-High Socks! Offering a contrast to the florals of Raechel’s look, we wanted to make Annabelle’s style a little edgier with the Pimkie 90's Woman printed T-Shirt as well as the denim shorts with belt detail. 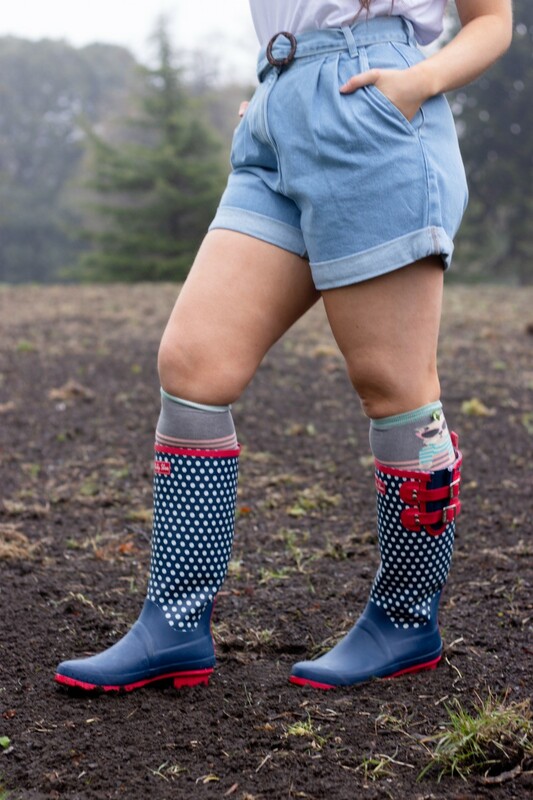 From here we paired our Westie Knee-High Socks with the Ruby Shoo Layla Wellington Boot, ideal for sploshing through the mud of country fields! 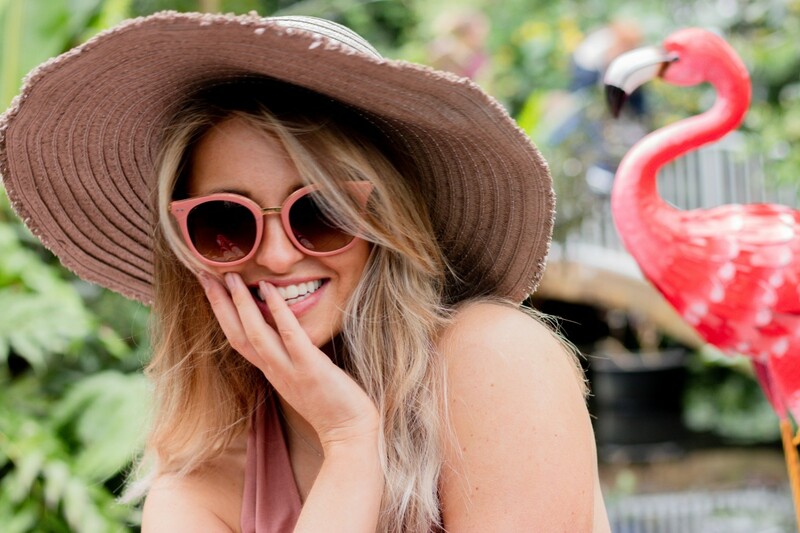 Made with 100% raffia, our Harper Hat is both a durable and stylish choice, pairing perfectly with our Margot Sunglasses in pink! Coachella is a massive multi-genre music festival taking place in Indio, California. 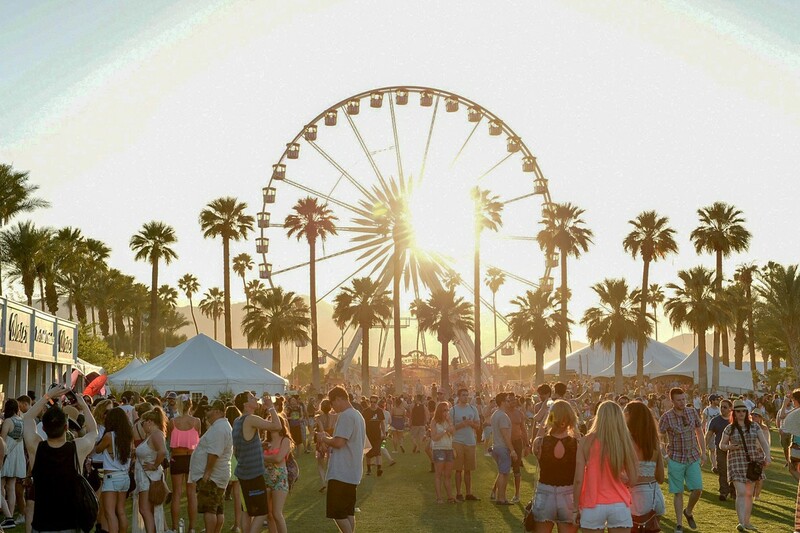 Up there with Glastonbury for best festival in the world, Coachella has to be on any music fan's bucket list. Every year the festival curates an unparalleled lineup of the biggest and most influential artists across pop, hip hop, rock, electronic, and beyond. It’s safe to say that Coachella style is synonymous with flowing dresses, one-piece florals, shorts, round sunglasses, and everything that defines Bohemian chic in the realest way! 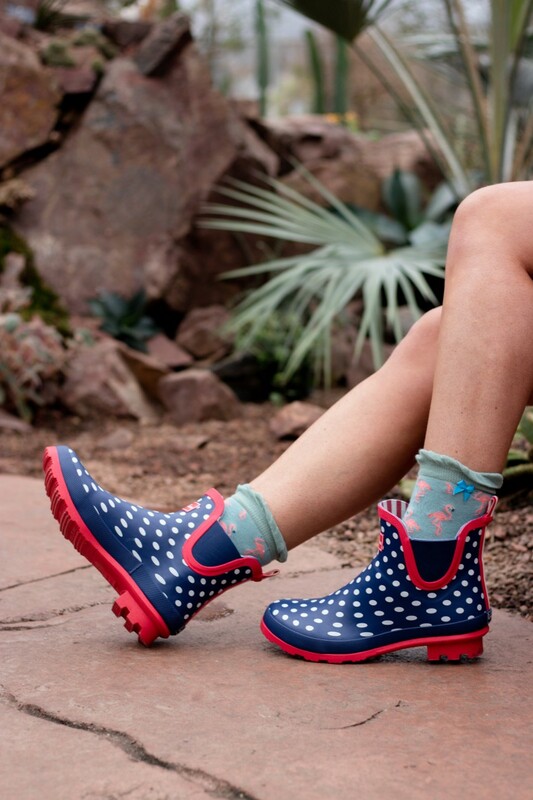 While you may not think that Wellington Boots are necessarily Coachella attire, we do love the fact that Ruby Shoo offer a new ankle length Wellington boot – perfect for packing away and using on the go! 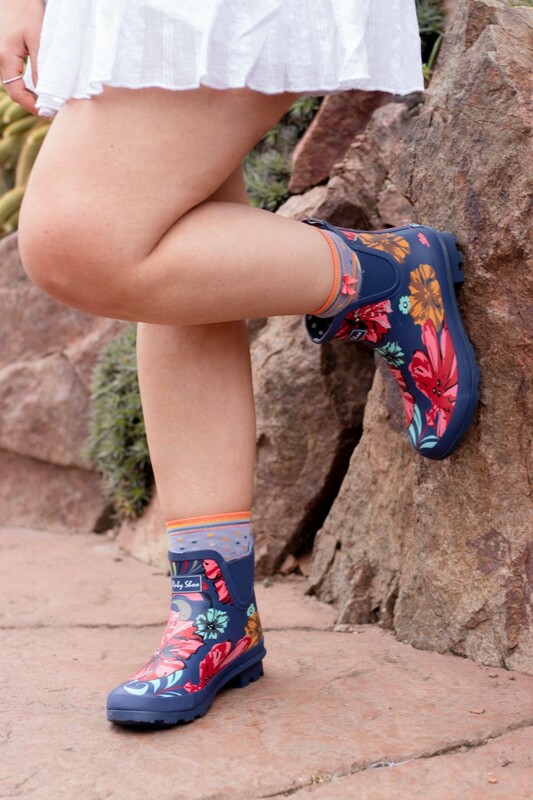 It was because of this that we were able to pair the Esme Wellingtons in Coral with our Unicorn Ankle Socks, still allowing for a pop of the sock detail to be seen! The lace smock dress gave a very bohemian feel, remaining elegant while carefree. 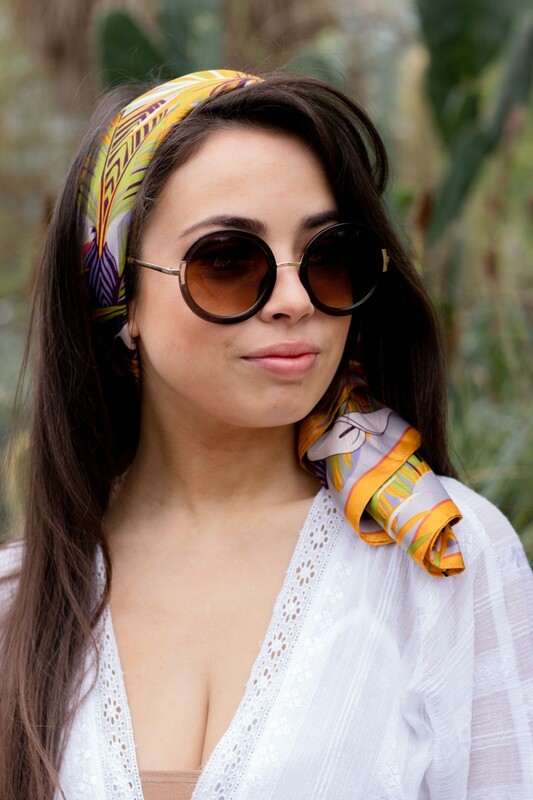 We paired this look with our Goldie Sunglasses and used the Elephant Parade Satin Square as a headscarf. As the Elephant Parade Satin Square as a headscarf worked so well, we decided to do the same with Cockatoo Satin Square, matching it with the Megan Sunglasses as well as the Flamingo Ankle Socks. We wanted to stay away from floral prints, letting the Cockatoo Satin Square be the main eye-catching stable, however when we spotted the Glamorous embroidered denim shorts – we couldn’t help ourselves – falling in love with the floral stitching. We originally were looking for a Bardot styled top, again – when we found this cold shoulder blouse, we felt like it was the perfect top to pair with the shorts. 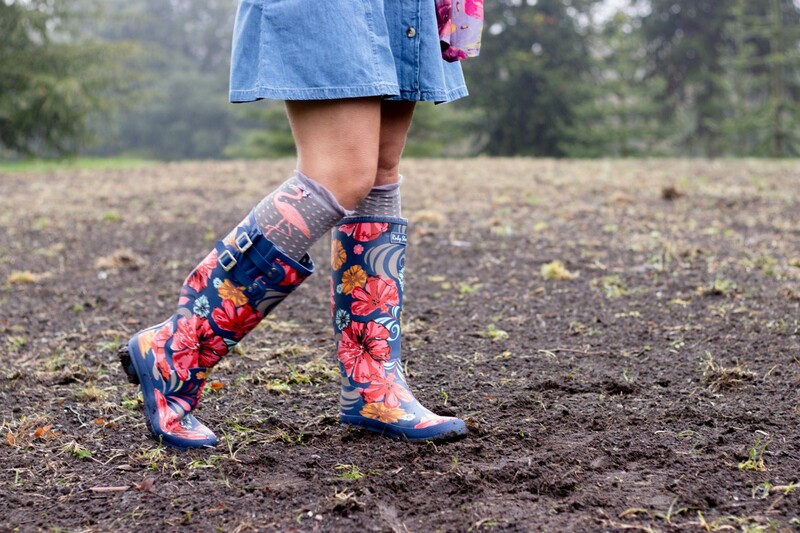 Again, we used the ankle length Ginny Wellington Boot, showing its versatile ability. 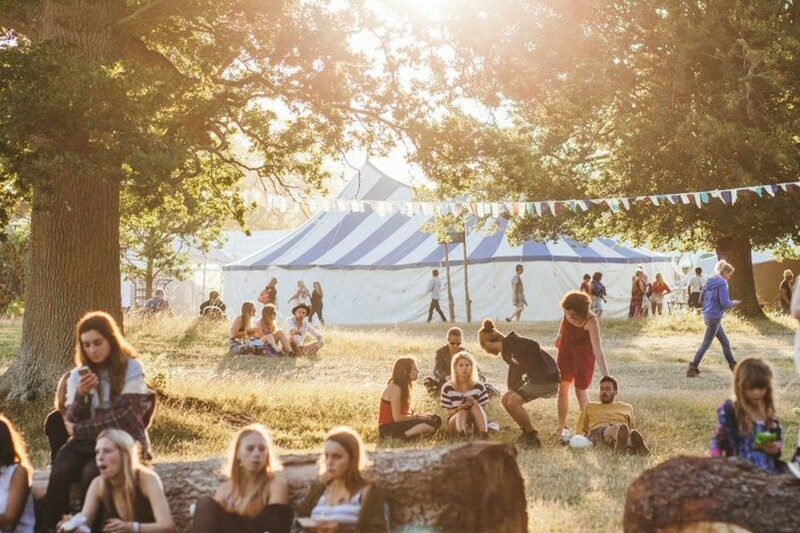 Wilderness Festival is a boutique UK music festival, laying on an easy-going programme of music, theatre, art, comedy and incredible food and drink at its lakeside woodland setting in Oxfordshire's Cornbury Park. The calm and serenity of Wilderness Festival is, again, the time to embrace all that is bohemian about festivals when it comes to style choices; light summer dresses, beads, flowers, pops of colours and lots of glitter! 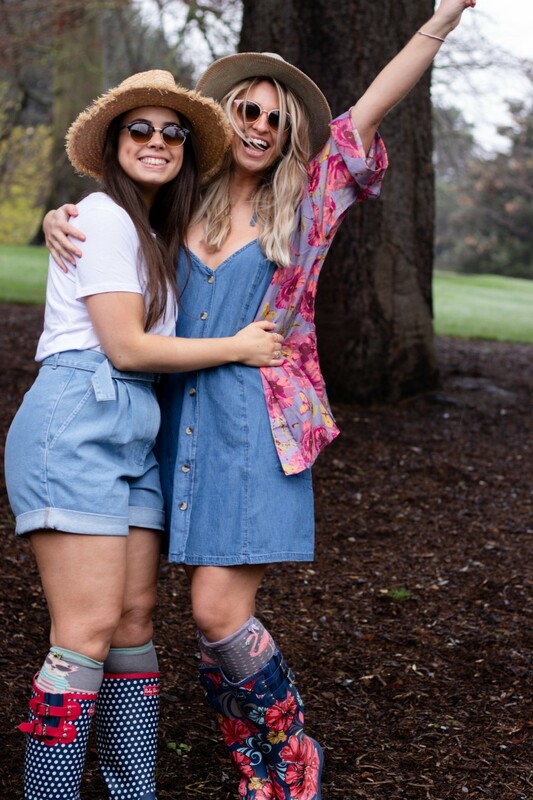 As we took it relatively refined in very different ways for the previous few looks, we wanted to make our last couple of looks filled with colour and print – a true celebration of the festival style and everything that both the team at Powder and the team at Ruby Shoo love and believe in! 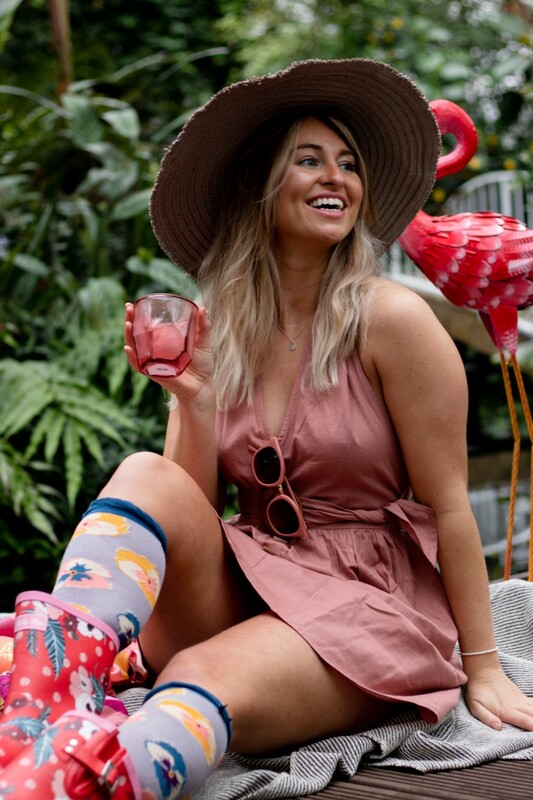 The cut and classic style of this linen halter neck dress worked so well with the colours of the Hermione Wellington Boot, allowing us to be quite free to style up with our fun Pansy Knee-High Socks, Adele Sunglasses and the fabulous Lana Hat! It’s a little bit extra…but sometimes you have to be! The second look gives a bit more of a summery-tropical vibe, all helped by our Jungle Print Jacket and Natalie Hat. We simply loved the mustard yellow of the shirred broderie sundress and thought it would look great next to our Cocktail Pug Knee-High Socks and the Hermione Ruby Shoo Wellington Boots! 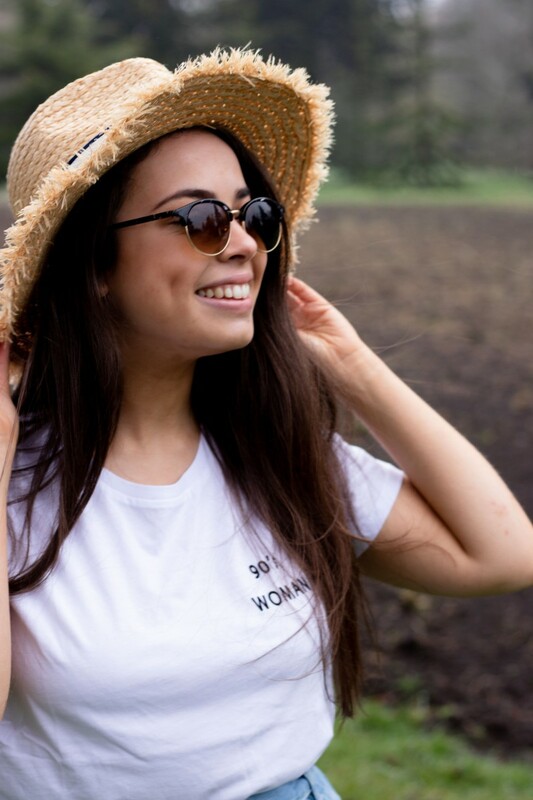 Simply finish off with our Aurora Sunglasses and you’re ready for anything! Spotted something you like? Why not enter our competition today? From Monday 8th April until Sunday 14th April, you have the opportunity to win both a £50 voucher to spend on the Ruby Shoo website as well as a £50 voucher to use on our own Powder website! Better yet, when you tag a friend in our competition – they too could be in with the chance on winning their own £50 voucher for both brands! Things are better shared and in pairs after all! Find out more below or get linked to our specific competition blog here! 2. Like the Instagram post linked here and tag a friend who you’d like to win with! The winner will be announced on Monday 15th April! Good luck!